On the left is two, one foot long stainless steel pipes. They are 7/16 of an inch in diameter, and each one cut into four, three inch sections (pictured in the middle). On the right is a manufactured spile. My timing was slightly off this year. I thought I had a little more time before tapping season would start, but I was wrong. My good friend Charles, and also my mentor and motivation for getting started with backyard sugarin’, informed me that I should get busy this weekend. Starting today and through the next week for sure, we can expect day time temperatures in the mid thirties and below freezing at night, the perfect climate to make the maple sap run. We are trying a few new techniques this year. First is home-made spiles, or spouts. Second, rather than using small buckets hung on the hook of a manufactured spile, we are running tubing to much bigger buckets. 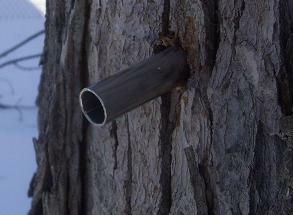 This allows us to collect more sap without it overflowing (hopefully!) The home-made spiles were made out of 7/16 diameter stainless steel piping. Each one is about three inches long with a forty-five degree angle cut on each end. Using the brace and bit to drill a hole. 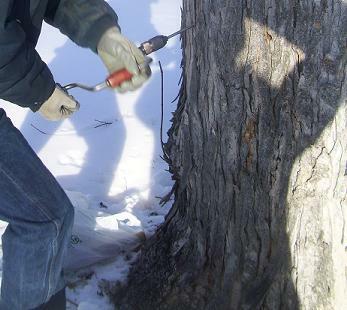 The first step in tapping a maple tree is drilling the hole. I like to use the old-fashioned hand powered drill, also known as a brace and bit. It feels a little more authentic but a power drill on a low setting will work just fine. I use a 3/8 of an inch spade bit to drill out the hole and shoot for about an inch and a half to two-inch depth on the hole. The hole should also be at a very slight upward angle. Once the hole is finished and cleaned out, either with the drill bit or a screwdriver, lightly pound in the spile. A home-made spile hammered into the tree. The second step, if using a homemade spile, is connecting a length of tubing to the spile and then running it down to the bucket. I use 1/2 inch diameter tube and that has a nice tight fit over the spile. In the top of the bucket lid, use a 3/4 inch spade bit to drill out a hole for the tube to go through. 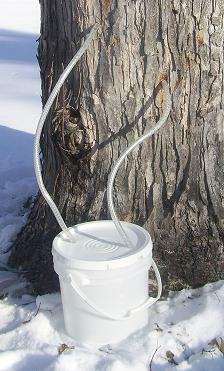 If you are using a manufactured spile with a hook, hang a gallon bucket on the hook to collect your sap. If using this method you may want to rig up some kind of cover for the bucket so dirt and other foreign objects can’t get mixed in with the sap. 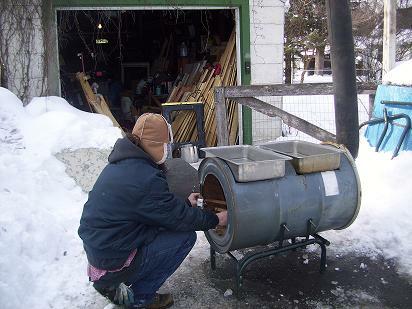 As mentioned in Backyard Maple Sugarin’ Part 1, I highly recommend Backyard Sugarin’ by Rink Mann. He has a lot more information to add to this discussion and some great DIY ideas other than what I am talking about here. The tubes and bucket finish the picture. Now we just need sap! The third step in this process is patience. 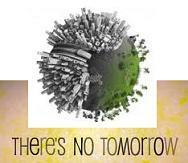 For now there is not much else that can be done. We have our boulevard tree tapped, one at our neighbors, two giant old maples at my folks house, and maybe one more at another neighbors tomorrow. 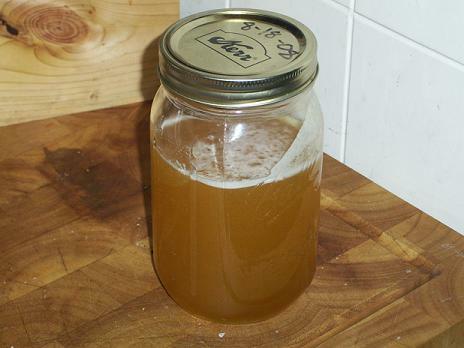 If the weather cooperates, the sap will start really flowing this week, and next weekend we will start cooking it down. There is more to come! Cheers. Free Honey and some Buckets too! Four gallon, food grade buckets and jerry cans that will be used for backyard maple sugarin'! It has been a good week for finding some free, useful stuff. First off, relating to my last post, Backyard Maple Sugarn’, we came across some great food grade buckets that will be used in about a month for collecting maple sap. One contained sweet and condensed milk, one had Bavarian cream filling, and the last one had organic peanut butter in it. A little soap and water will take care of any residual odors and flavors. Also we found two food grade plastic jerry cans at the local food co-op. 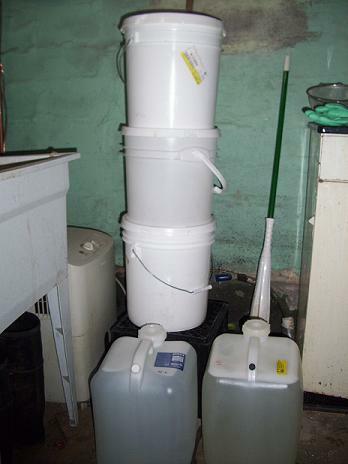 They are about three and a half or four gallons and will be great for storing our sap in as we empty out full buckets. The icing on the cake (or should I say honey), is one of the plastic jerry cans still had about three-quarters of a quart of organic honey in it. My morning tea just got a little sweeter. Nothin' is sweeter than free organic honey! 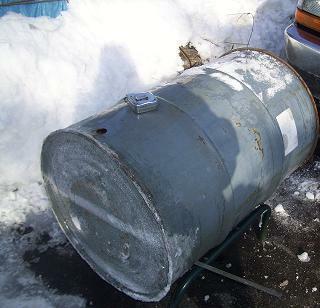 Here is a steel 55 gallon drum that I have been holding onto for about four years. I finally found a use for it. To give credit where credit is due, the title of this post is basically stolen from Rink Mann’s, Backyard Sugarin’. I came across this book last summer already having one year of backyard sugarin’ under my belt. We had tapped our boulevard maple tree and two old, giant maple trees at my parents’ house. Off those three trees we collected at least 20 gallons of sap and cooked that down to about half a gallon of syrup. We learned a lot of lessons. First, don’t try and remodel a bathroom yourself and try to make maple syrup at the same time. Second, don’t use a deep stock pot and propane gas to cook your syrup. I wish I had seen Rink Mann’s book prior to ever trying to cook down maple syrup. For anyone trying this old time craft, I highly recomend reading Back Yard Sugarin‘ first so you don’t make the same mistakes we made the first time we tried cooking down syrup. The following pictures document the construction of our new syrup evaporator, constructed out of all dumpstered and found materials. Enjoy! Here is the same barrel with holes cut out to fit six inch deep hotel pans. On the left you see the stand for the evaporator. It is constructed out of an old outdoor rocking chair. On the right you can see the hole cut out for the evaporator door. All cuts made on the barrel were made with an electric jigsaw using a blade for thin metal. Here are two pictures showing the first fire in our new evaporator. The steam is coming from water in the pans. The fire is basically curing the barrel and removing any nasty residue from previous use. Here is a nice picture that shows the whole set up. You can see the stove pipe and how the whole thing looks from a distance.